My name is Jenny Herrmann. I work at The Arc in the mailroom. I am a generally a cheery person. Why did I choose to come to The Arc for supports? My main reason was for support with job exploration and job development. Meeting new people has also been helpful. I joined The Arc Baltimore Career Catalyst program in April 2016. Career Catalyst was a good fit for me. The group discussions varied from week to week including good work ethics, proper work behavior, and good hygiene. I interned while at the Career Catalyst program at Amazing Spiral Books and Comics on York Road. My job was putting books in alphabetical order by the author’s last name. Career Catalyst job coaches help out or give support and are there to talk. Sometimes we use FaceTime to check in. While in Career Catalyst I presented Powerpoint talks that were done as an individual project to the class. I applied for full time work at The Arc Baltimore. I was hired by The Arc Baltimore as the mailroom clerk. Through working at The Arc, I have received support from the Assistive Technology Department with using tools that would help me to be more efficient on the job. 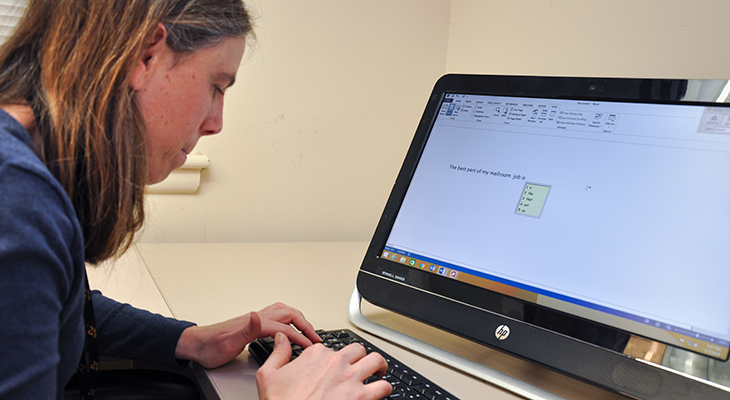 I use Word Q, an assistive tech program that makes typing easier and quicker. As I type a word, a list of words appears on the screen and a voice says the word aloud. By selecting the number next to the correct word I am typing, the word shows up in the sentence. This program makes my typing faster as well as reducing my typing mistakes. Feeling more independent about creating word documents is a plus with Word Q.
I also use the Olympus Voice Recorder as another assistive tech device. Idea capturing is a way to store thoughts, and when an idea hits me, I can push the record button on the recorder and record my idea. I am a member of the Assistive Technology Committee and attend meetings every other month. Recording and reviewing what is discussed is helpful. Part of my role is to interview other people with AT to see how it is going. When doing an interview I can use this device to get information about an individual’s assistive tech device. Using the recorder in a class where it is hard to keep up with the notes can be helpful. This would give me the chance to review the notes after class. Another use of the recorder is a to do list for work. Giving reminders of what needs to be done is helpful. 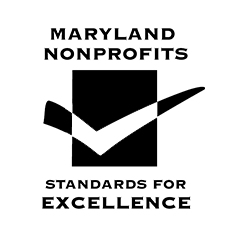 I recommend talking by email to dsteffin@thearcbaltimore.org for information about assistive technology as well as checking out the AT Guide for Teams to help you get started. Interesting read, I did not know about Word Q that is a cool program! Thanks Ammie for taking the time to read Jenny’s blog! I found it interesting how AT is assisting you with your day to day responsibilities. I particularly like the Olympus Voice Recorder and how you use it to remember your thoughts. Thanks Kimberly for reading Jenny’s blog!